Green M&M’s: What Is It About The Green Ones? For years, there has been a myth that green M&M’s are an aphrodisiac. M&amp;M’s played up on this myth in several of their commercials, including one where a mother is speaking to her husband about her concern for a poster hanging in her son’s room that we, as the audience, are assuming is a scantily-clad young babe. The father replies, “Relax dear. 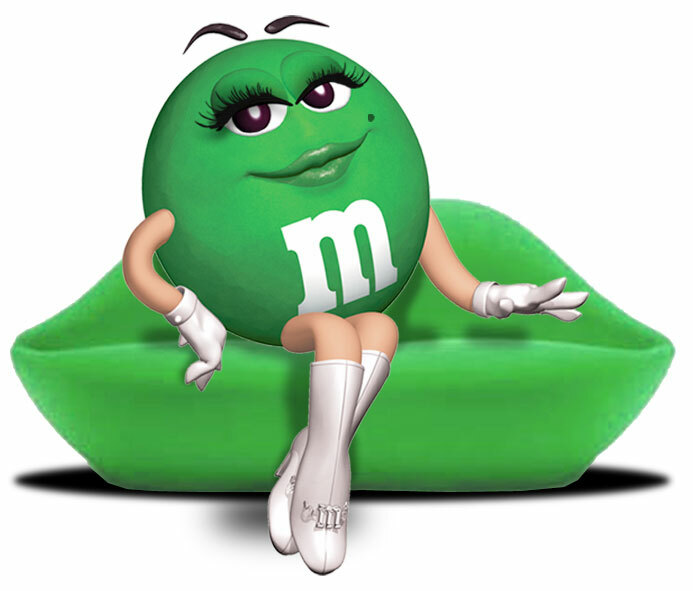 It’s what boys do!” The camera then pans to reveal that their son’s object of desire is Ms. Green M&M, posing in all her glory. To add to the humor, the commercial ends with mom opening the bedside table, where she discovers a drawer full of green M&Ms. Fortunately, M&M’s now have an entire palette of colors that you can mix to match whatever message you want to communicate. You can see all of the colors and some color suggestions at the but below are a few tongue-in-cheek recommendations of my own.